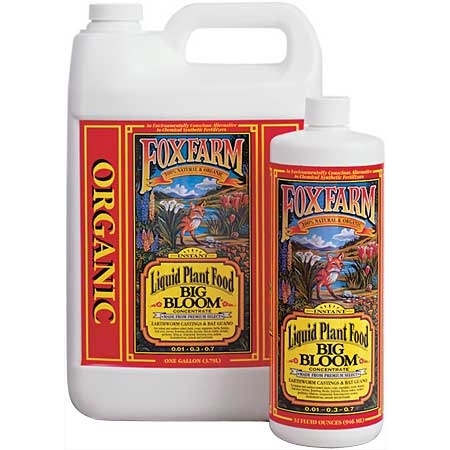 FoxFarm Big Bloom Liquid Plant Food is mix of the best 100% organic fertilizers specially produced for strong, extra large flowers. Contains high concentrations of worm castings and bat guano. A fast acting source of nutrients for plants, soil and hydroponic systems.